Almost 50 years ago I began working in clay as a student and teaching assistant in Ceramics at the Manchester NH Institute of Arts and Sciences. 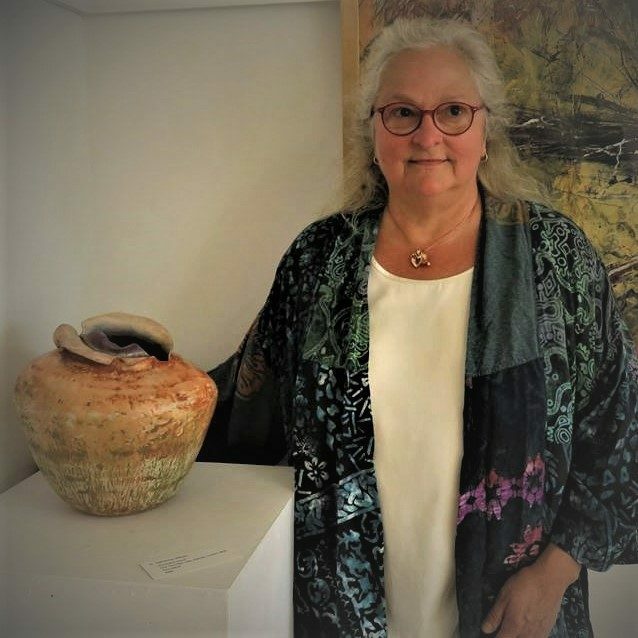 Forty years ago I moved to Maine, and after many years making a living in another field, I've been pursuing my art full-time since 2016. 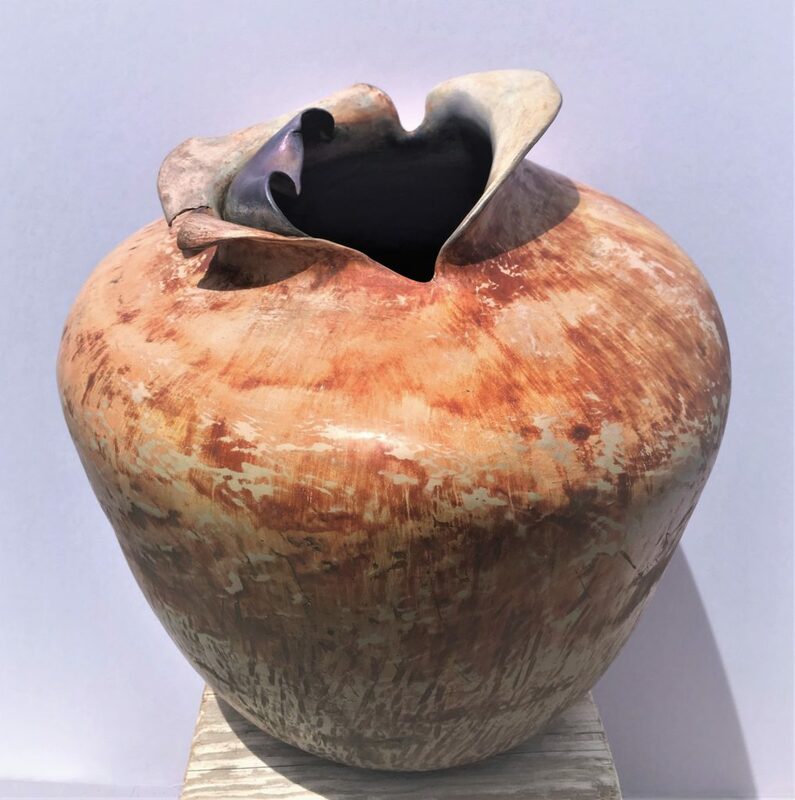 Using reclaimed and amended clays I make large handbuilt sculptural vessels that express an initial concept or metaphor that I want to explore in clay. 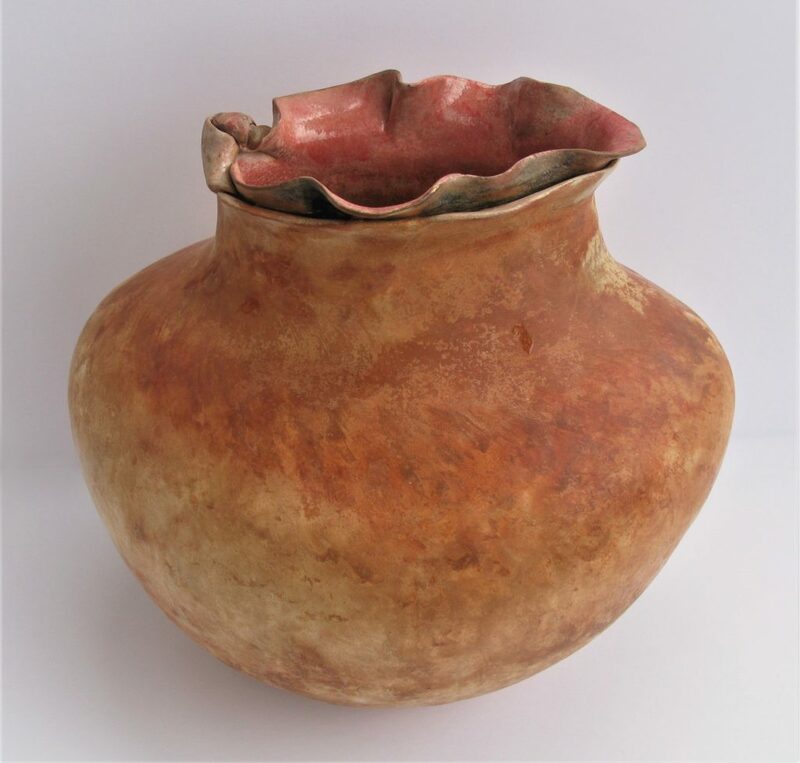 I often add materials, which have no inherent usefulness or beauty on their own, to the clay body or surface. 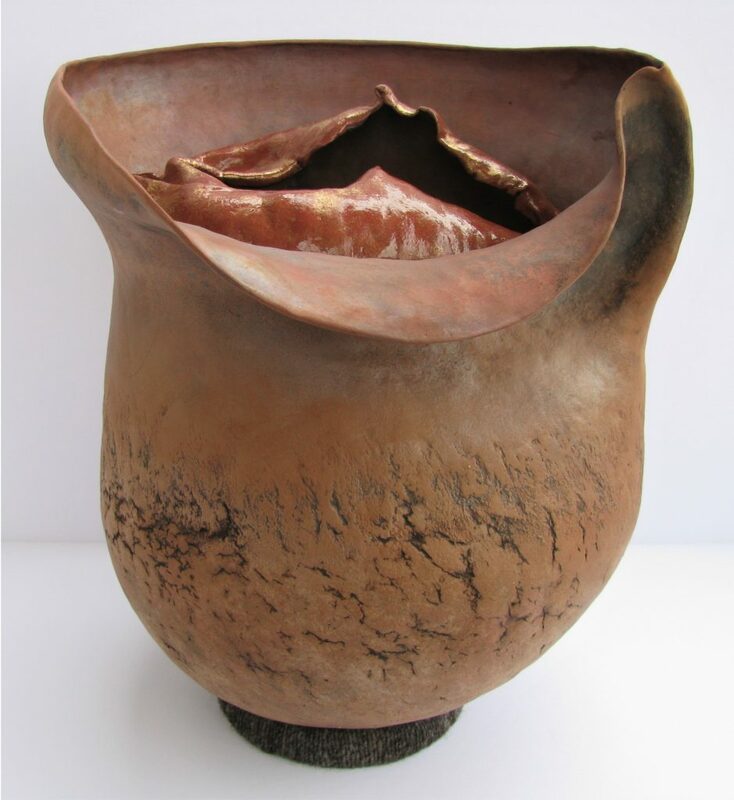 The remains of these materials are reborn through fire and contribute to the unique character of each piece. As I build, my internal narrative develops, and the forms take on new life as they grow, sometimes in unexpected directions. 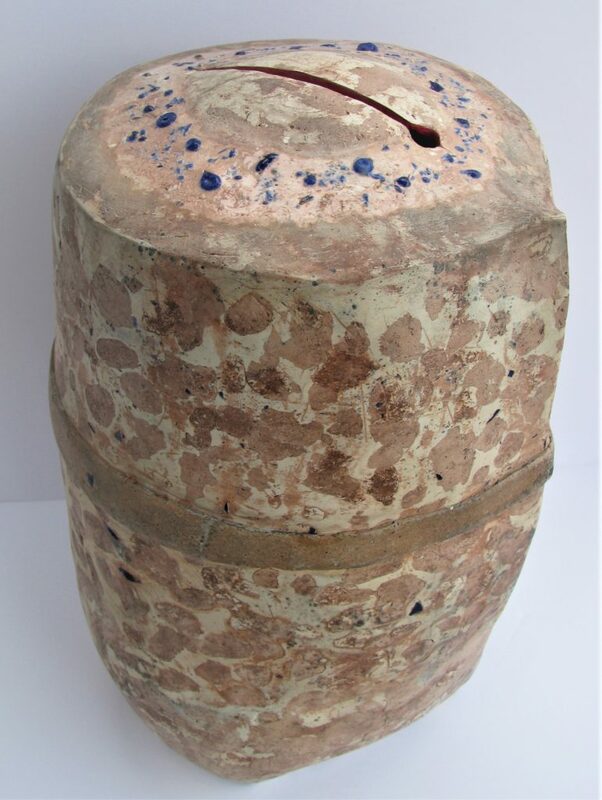 All my work is lightweight with thin walls, mostly unglazed, and often burnished. I may use terra sigillata, stains and lusters to enhance a piece, but mostly surface treatment is minimal. My work is meant to be experienced tactilely as well as visually, to be touched by, and hopefully to touch the viewer. 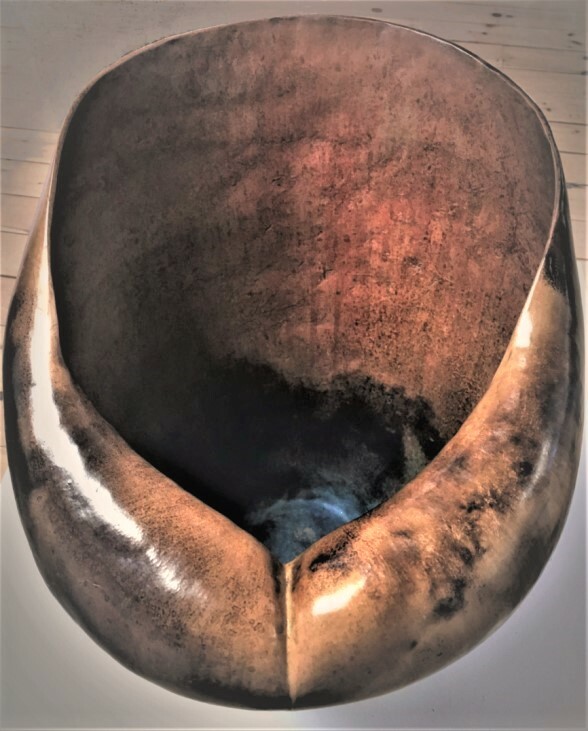 While not functional in the traditional sense of pottery, I hope that people will enjoy my work because it elicits some emotion that opens their heart or makes them think or feel in a different way. That is its function.